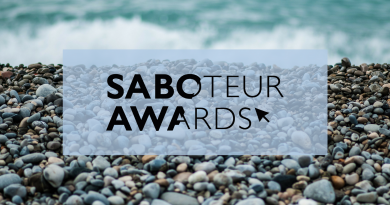 Now that the results of the Saboteur Awards have long been released, we think it’s safe to let you know why each editor picked the works that they did to join the shortlist of the Saboteur Awards. We introduced ‘Editor’s Choice’ last year for the first time as a way of making sure a work, or person, that might not otherwise make the shortlist, does so. It seems that this year, voters were glad that we did this, as two of the Editor’s Choices, Jade Cuttle (Best Reviewer) and Jackie Hagan (Best Spoken Word Show) ended up winning! Without further ado, here’s why each editor made their choices! 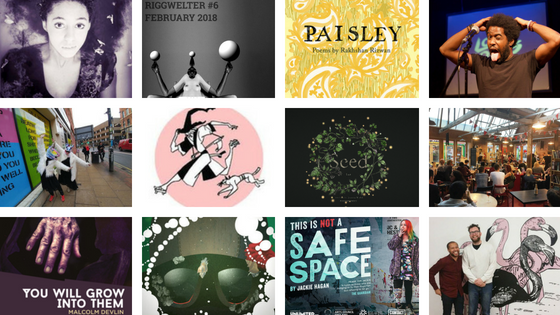 I immediately liked the feel of Riggwelter, a free online journal of creative arts featuring quality poetry, visual art and essays. Inclusive, relevant, with a sense of humour – it’s a stylishly produced magazine which deserves more exposure. It’s a privilege and a challenge to have a say in the Saboteur nominations. 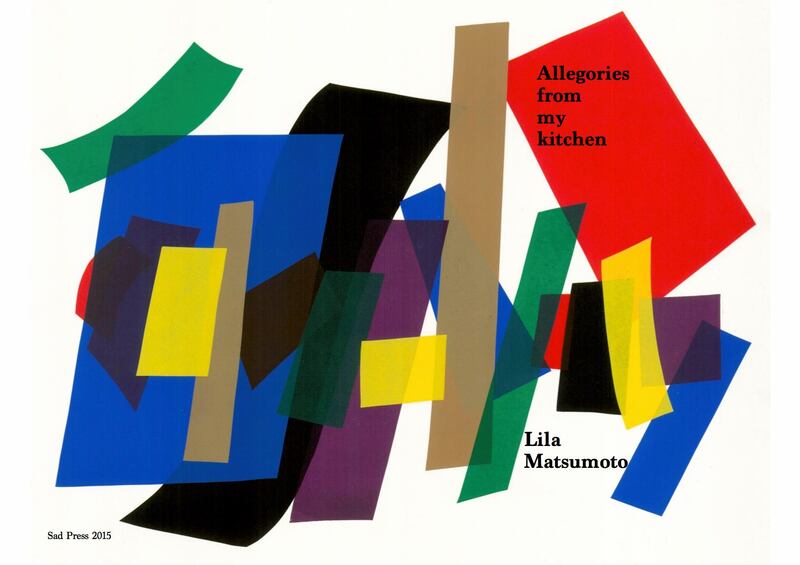 Every poetry pamphlet I read had something to recommend it, and I read as many as I could get my hands on, through review copies, pamphlets I had bought, and the Poetry Library. While I still can’t claim to have read every pamphlet out there, I did read a wide range of work. Certain pamphlets, like Jennifer Copley’s Some Couples, impressed me with their narrative range. Others stuck in my mind because the poets achieved a rhythmic or imagistic style that felt absolutely ‘their own’, even when I could trace some influences on them. Here Birds Are by Art Allen, Frit by Eley Williams, Understudies for Air by Daisy Lafarge, Pamper Me To Hell And Back by Hera Lindsay Bird, and All This Is Implied by Will Harris were all especially striking in this respect, each achieving a style that was distinctive in a way that felt ultimately uncalculated. To me this reinforced the fact that poets are best-served by reading widely and enthusiastically, but they should feel free to pursue their own rhythms and image-worlds beyond imitation, and publishers should avoid dampening what makes individual poets unique. I finally settled on Rakhshan Rizwan’s Paisley as my Editor’s Pick, because as well as having an assured style, she embraced perhaps the largest subjective scope of any poet I read, explicitly tackling themes of nationality, gender politics and migration. I returned to the pamphlet several times, and her formal craft (featuring ghazals most prominently) impressed me, but the unsophisticated reason for my nomination was that Paisley made me cry. It is hard to write anger as effectively as Rizwan does here. The ‘Most Innovative Publisher’ nomination was also a challenge. I was tempted by Laudanum Press, Sad Press, Singing Apple Press, MINERVA Platform, and zarf, who all publish beautiful and innovative work in various senses of the word. I kept the idea of ‘innovation’ uppermost, rather than simply looking or a publisher whose work I liked (in which case many more publishers would have been contenders). It was also important to me that my final choice had an open submissions policy, rather than commissioning work only from poets they already knew, and that they paid their poets. Ultimately, Sidekick Books were the most obvious choice: their large, diverse anthologies and collaborations, combining experimental and mainstream styles, illustration and poetry and interactive work, made them a frontrunner for Editor’s Pick, and I thought they deserved to be on the shortlist. Malcolm Devlin’s collection has a slow start, but then it really takes off as dark, weird/sci-fi collection. Honestly, the span of worlds and subgenres is so wide it’s hard to pin You Will Grow Into Them down into one genre. It’s the third story (‘Breadcrumbs’) that really got me – you might say Devlin had been growing into the stories up to that point – with a unexpected turn of events that takes the story from the first few pages of relative normality out into a sci-fi twist on Rapunzel and something darker, that would be a spoiler to reveal. Beyond that, there’s the classic sci-fi ‘Her First Harvest’, set on a remote space colony, alongside a story like ‘Songs Like They Used To Play’, which deserves more space than I have here; it’s a poignant story about how we perceive history, with hints of time travel sublimated through the ways in which the past rubs against the present, and throughout there’s an undercurrent of dangerous nostalgia that finally erupts at the end. Throw in a marketing exec werewolf, Soviet-style dictatorships and demonic possession, and Devlin has covered a wide enough range of topics to make me very happy to nominate his collection for an Saboteur Award: we’re dedicated to reviewing that which defies easy categorisation. Plus, it’s deliciously dark. Sabotage Reviews has always been interested in the ephemeral and the small-scale, in the quirky little publications that won’t necessarily be noticed by a lot of people and certainly won’t get much publicity because they’re somehow odd or strange or hard to categorise. 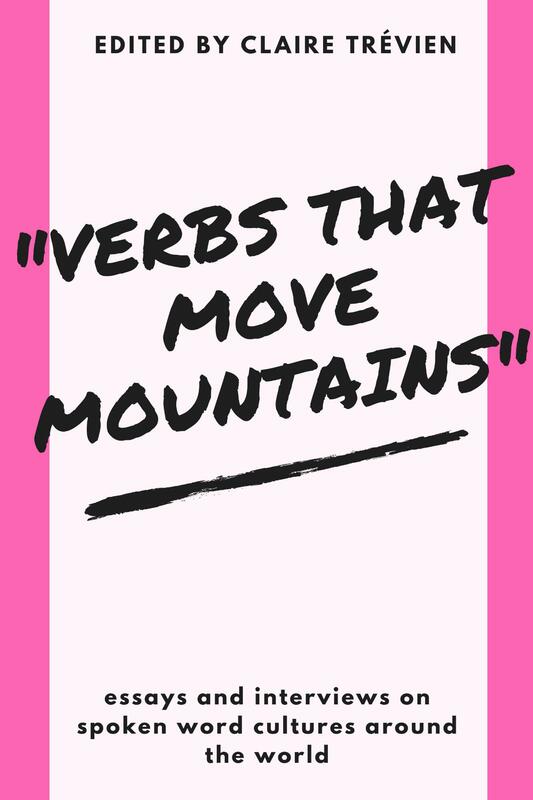 We’ve welcomed the poetry and the stories that won’t fit into easy pigeonholes. Let the big beasts deal with the novels and the blockbusters, we’ll shine a little light on the ones that might otherwise get missed altogether. Such a story is Joanna Walsh’s Seed. For one thing, the novella exists online, not in physical form, and the reader navigates the story using a smartphone browser. Though not quite a choose-your-own-adventure, this format does allow for a certain degree of reader interactivity, and you’re able to see your potential journey (or journeys) mapped out on the screen. Each narrative segment, accompanied by a plant image, adds another shoot to the ever-growing fictional world. Although the reader starts at the centre of a beautifully presented and illustrated web of plants, different branches of story end only to flower into new ones on the map, which seems to extend on and on in all directions. 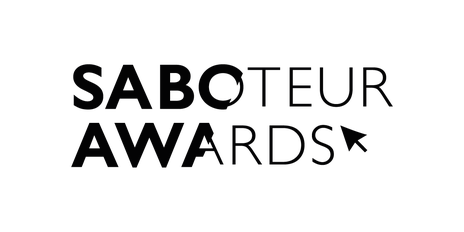 It’s hardly a traditional narrative, and it’s hardly a traditional format – and that’s what makes it so perfect to be nominated for this year’s Saboteur Awards. Tyrone Lewis – I came later than most to the phenomenon that is Tyrone Lewis. I first saw him perform at Hammer & Tongue this year and gosh was I keen to make up for lost time. After hoovering up a bunch of his videos, what became clear is that he is a poet with a rare way with words, a fierce and playful sense of humour, and a commanding presence. His writing also gives a real sense of telling a story, even in pieces without a narrative, his ideas are always woven together with a strong structure and journey – which is a surprisingly rare skill. He also seems to be a real champion of the scene, promoting others’ creative projects with love and energy. A little while back, a friend asked for recommendations of contemporary poets to share with her secondary school students. This happens occasionally and I have a handy list of spoken word performers (and accompanying videos) that I can share on such occasions. Tyrone has become one of the first names on my list, alongside Kate Tempest, Dizraeli, Vanessa Kisuule and Guante. And that’s one of the best compliments I can give: when I think about poets who will make new people fall in love with spoken word, I think about Tyrone. Affleck’s Creative Space – I visited Affleck’s Palace for the first time last year and was blown away by what a charming, alternative hub it was. It has all the subculture cred of old school Camden Market, with a whole bunch more creativity and community. Most notable of these, for me, was Affleck’s Creative Space: an area anyone can use, containing all the tools to encourage your artistic endeavours. Or y’know, you can just *be* in it. I was really heartened this year to see the number of shortlisted projects that are engaging with the world and trying to make it a braver, more loving and more equal space. Affleck’s Creative Space does that in a clear, vital and wonderful way – it makes its little corner of Manchester a better place. And, as the comments said, it also makes more than its fair share of magic happen. Giving a defiant finger to the PIP, and written as an antidote to TV programmes such as Benefits Street and The Undateables, Jackie applies her colourful, upfront approach to challenging the negative stereotyping of the working class and the disabled in her latest solo show. With her trademark tough, tender and quirky performance style, she includes the voices of people “living on the fringes and the spaces in between”, negotiating the bureaucratic nightmare that is our current benefits system. This is Not a Safe Space features poetry, puppetry, audience participation, comedy and crisps with heart and humour, and redefines how disability should be viewed on a tick box form: “awesome, awesome wonky and wonky with strains of awesomeness”. Fire and Dust has been a big part of Coventry’s spoken word scene for several years now, and is held in the outrageously appealing The Big Comfy Book Shop. This is the perfect setting – regulars and new voices are all welcomed into the comfy armchair arms of this encouraging and inclusive event. Run by the magazine Here Comes Everyone, I’ve been impressed by the team’s relentless dedication to making this event as accessible as possible (with virtually no funding), and their commitment to and encouragement of local writers. Fire and Dust extends a warm and free welcome to all ages on the first Thursday of the month to share poetry, performance poetry, slam and flash fiction. Open mics get up to 5 minutes, and special guests have included Anthony Owen, Alice Short, Roy McFarlane and Josephine Allen. The best anthology category always attracts very strong contenders every year and this year was no different. The point of the Editor’s Choices in many ways is to add to the shortlist a work that might not otherwise make it there, so when it looked like my first choice, Stairs and Whispers was a sure top 4 in terms of nominations, I shifted my attention to Aquanauts. I’m a long-time fan of Sidekick Books and I think they’re doing something very unusual and wonderful with their Headbooks series. They’re anthologies, yes, of playful, innovative, beautiful and sometimes silly work, but they’re also interactive creatures and I defy anyone not to be filled by glee when leafing through them (and defacing them!). Aquanauts exemplifies this, and I hope that by bringing attention to it, more people have been filled by the same delight I felt when originally leafing through its pages. Best Collaborative Work is one of my favourite categories and the nominations were full this year of exciting cross-genre collaborations, including Natalie Teitler’s Dancing Words, a series of filmed poetry and dance collaborations, or Penned in the Margins’ epic and site-responsive retelling of Piers Plowman, Fair Field. Ultimately, I chose Dean Atta and Ben Connors’ Black Flamingo, which was an organic and audience-participative exploration of queer identity at Tate Britain. As well as performances and community engagement, the project also resulted in an excellent collaborative zine. There were so many reasons to pick Black Flamingo, but the strongest for me is that it just felt like the perfect antidote to our times at that precise moment.